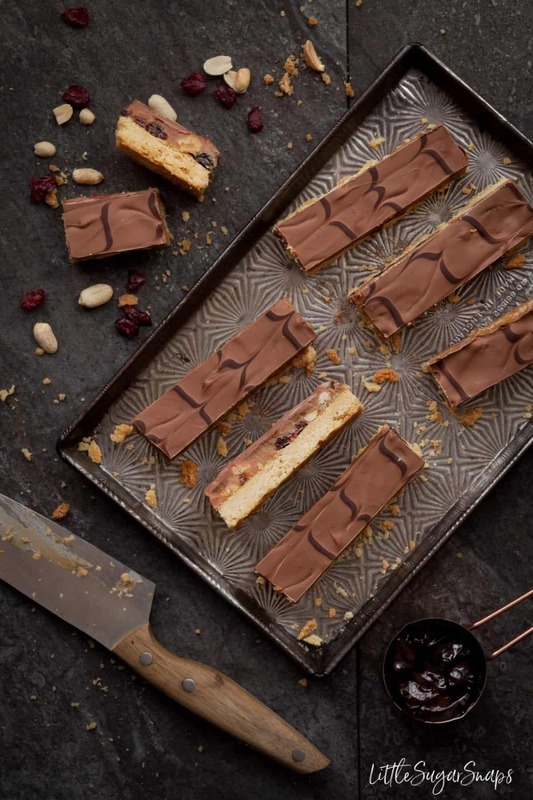 Fruit & Nut Caramel Shortbread is a simple twist on classic Millionaire’s Shortbread. 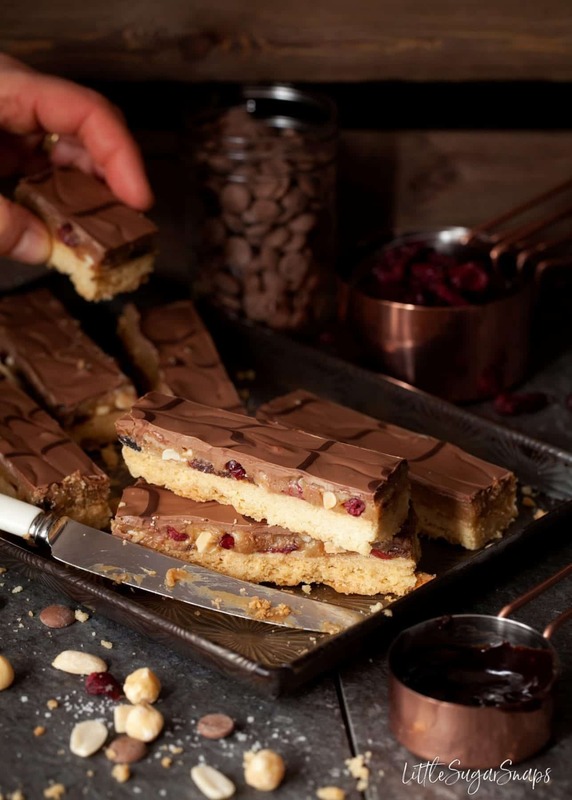 Rich & buttery shortbread biscuit is topped with raisins, cranberries and nuts, then covered in thick, smooth caramel and a thin layer of milk chocolate. These bars are a real treat. If you don’t live in the UK, you might not have heard how cold it is over here at the moment. We are in the midst of a prolonged period of sub-zero temperatures even though it is the end of February and spring should be on the horizon. Not many people are happy about this – only the kids who have enough snow for school closures and are able to take to the nearest hill with a sledge. 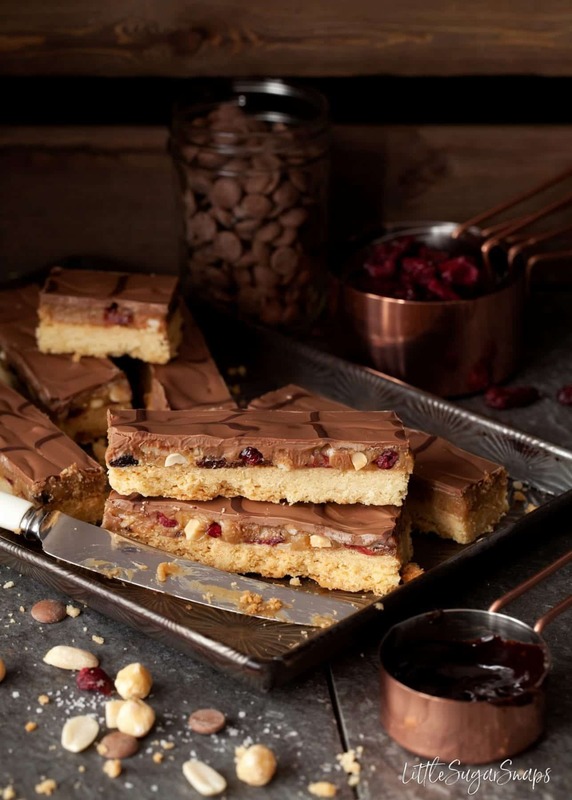 However, extended winter does mean we are entitled to a little more comfort baking, so I’m rolling out these Fruit & Nut Caramel Shortbread bars today. 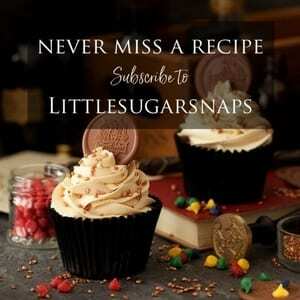 Caramel Shortbread (aka Millionaire’s Shortbread) is one of those treats that seems to be universally popular. Hand on heart, I can tell you that I have yet to meet anybody who professes to not liking this bake. 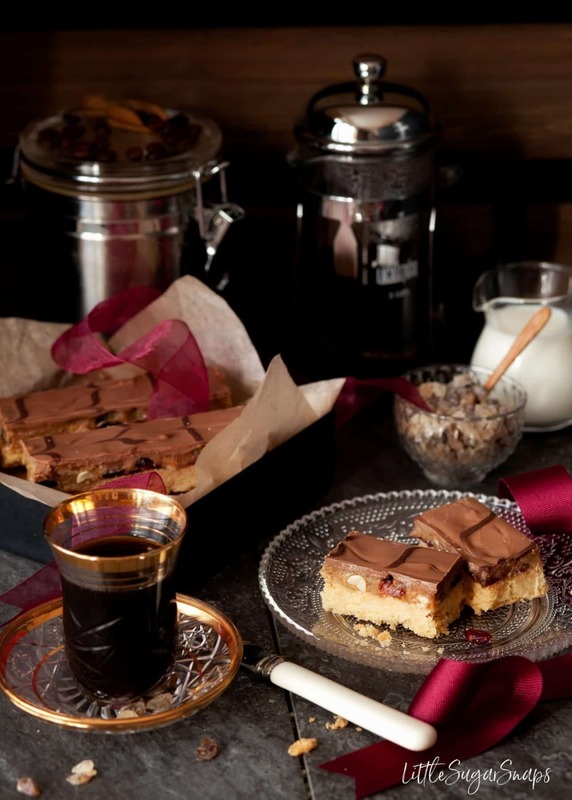 But, since there are already plenty of recipes out there for Millionaire’s Shortbread, I’ve come up with a twist. The simple addition of dried fruit and chopped nuts tunes this already decadent bake up a notch further. All of these were scattered on top of the shortbread before the molten caramel was drizzled on top. Oh, and I also added a touch of sea salt since salt, nuts and caramel are all best buddies. Of course, you can leave out the salt if desired and make substitutions. Almonds and macadamia nuts would work very well in this recipe too. 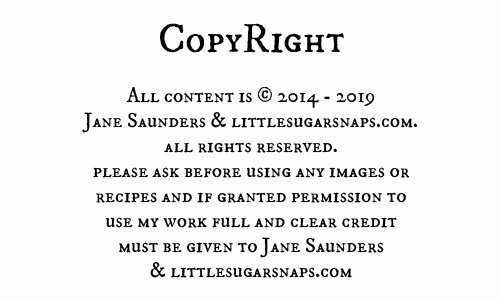 As with the majority of Millionaire’s Shortbread recipes, my fruit & nut variation makes a generous about of bars – I blame the size of the condensed milk tin. Just ensure you have plenty of people to help polish off these bars since not only are they more or less impossible to resist, these bars are best eaten within 4 days. P.S. These bars make a lovely homemade gift. Allow to cool and set before cutting into squares (tip: if you can be patient, using a warm knife to score through the chocolate helps to stop the chocolate cracking in all directions and gives you neater squares). They look so delicious! And would go so well with my endless cups of tea, which are keeping me warm during this freeze! Thanks Anna. There’s no doubt in my mind that we all deserve a few slices until the country thaws out again. Stay warm and safe! 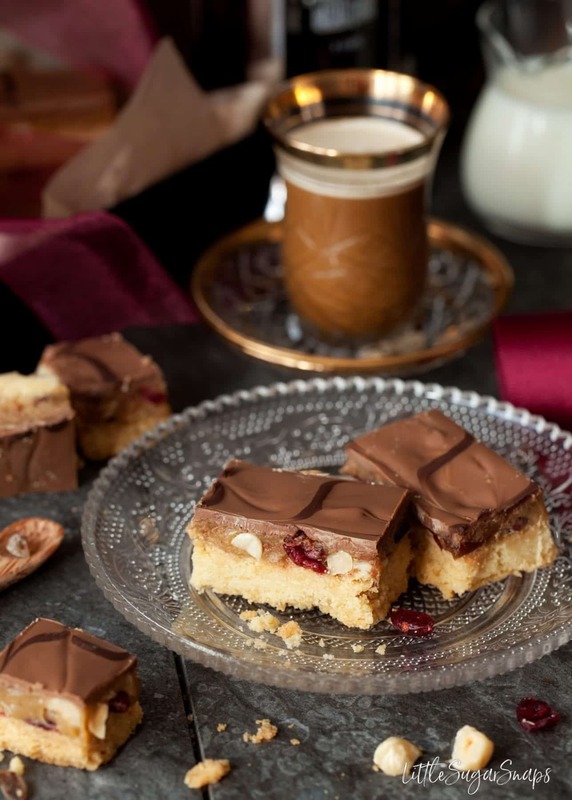 Ooh, I love millionarie shortbread and it sounds delicious with the addition of fruit and nuts. The added texture of the nuts alone is enough to draw me in. 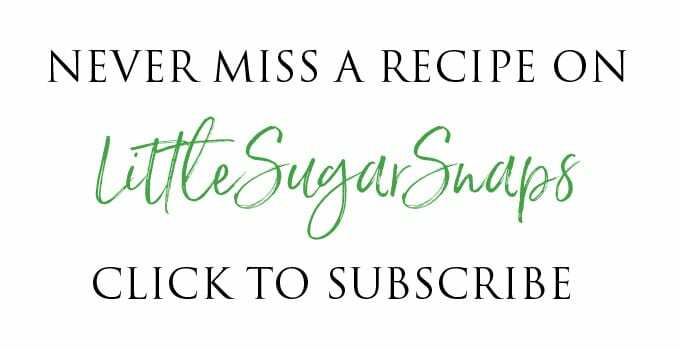 This recipe looks wonderful – can’t wait to try! Thankyou Amy. I really enjoy putting nuts into caramel recipes these days. 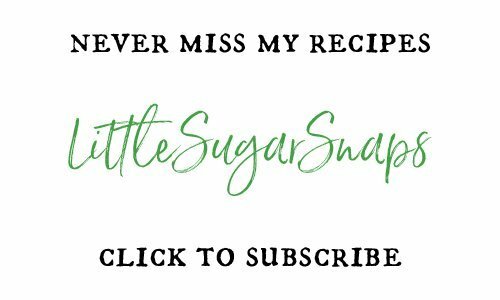 Oh my gosh – I LOVE this twist on caramel shortbread! This treat brings back very fond childhood memories. My sister and I used to fight over the biggest slices when we (invariably) ordered it in a cafe! I’m now living in Australia where they have this too, but it’s a bit different with coconut in the base. Still very delicious! Wow!! I wish I had a slice in front of me right now! Love the addition of fruits and nuts. I can honestly say that this is absolutely delicious. My visit to Jane’s was very well timed to get the last piece of this treat! Thanks Jo. I’ll let you know when I’m next baking them so you get first slice next time.